How Do We Know the Holy Sites are Authentic (Protestant Skeptic)? Hi Steve, Here’s the question in brief (read more if you have time). How do we know that the sites such as the Church of the Holy Sepulchre are authentic? A Protestant friend of mine recently took a trip to the Holy Land and when he returned we had some discussions about the sites. He raised his doubts about the authenticity of some of the sites, and in particular about the Church of the Holy Sepulchre. He made some disparaging comments about “the liturgical church” and how they build churches on top of everything (in a tone as if they have been ruined or desecrated), and how they don’t even know that they are the real locations. So my question to you: How do we know that these sites are authentic. I’m sure you don’t have time to give a full dissertation, but if you could point me to a good book or website I would appreciate it. Thanks for all you good work. I responded briefly below. I had no time to craft my response carefully but wrote it in the few minutes I have. 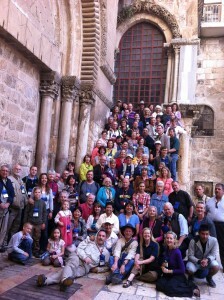 My next group is arriving and there is a lot to do here in Galilee to get ready. 1) Holy Sites: Are these the Actual Locations. 2) Holy Ground: Thoughts on Visiting Israel. My guess is your friend had a Jewish guide and like most of them he was an unbelieving skeptic. I listen to them speak to their groups and it is too often a travesty. People often leave with less faith than when they arrived due to the way the guides belittle Catholic sentiments, turning a tour into a political trip. The site of the birth of Christ and Calvary and the Tomb are NOT up for questions (thought some Protestants have their own alternate site which is obviously not authentic, read about it in my book St. John’s Gospel). The Catholic sites are historically, archaeologically and biblically certain. They have been from the first centuries. Most Protestants dislike them because they are “liturgical,” very Catholic and Orthodox. Protestants are the Johnny-come-latelys and as such they feel neglected and out of place in most of the holy sites. While Catholics celebrate the age-old Mass in the holy sites like we’ve done for 2,000 years, the Protestants are relegated to sitting under a tree reading the Bible and singing hymns, learning from their guides why no one really knows anything for sure. 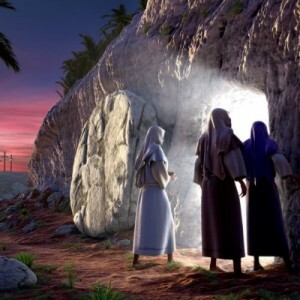 With our groups we give the reasons we KNOW it is the site based on good evidence and history and archaeology, we pray the Sorrowful Mysteries and gather in front of the Tomb for a Mass and as the priest comes out of the Tomb with the consecrated host we see Jesus come out of the Tomb again sacramentally. I understand your friend since I see it every day. I feel sorry for those who’ve spent a lot of money to see this land and understand their faith and often go home less sure then when they came. It is not ALL groups but is all to frequent. I don’t want to hear from the exception to this travesty since I know there are exceptions, but I see the other far too often. You can be sure about the sites (at least the major ones) and when I lead a group people are in tears and full of joy and discovery and go home better Catholics, sure of their faith and ready to die for Christ if need be. We just dropped off one group and today pick up another group at the Tel Aviv Airport. We are excited to show them the sites, watch tears well up in their eyes, see daily conversions with a deeper love for Our Lord and Lady. We never tire of doing this because we BELIEVE and KNOW what we are doing is true, authentic and has an eternal weight of glory. My wife and I took a Footprints pilgrimage with Steve and Janet (and Scott Hahn and Mike Aquilina) last May. I am a research scientist at a university and some of my work puts in touch with archeologists. I investigate things in the environment and in past eras for a living. Upon first arriving in Israel, my professional senses were engaged right away. I can say that there was nothing, absolutely nothing, that I encountered that was inconsistent with the familiar Biblical narrative that any Catholic who goes to Mass hears in the 7,000 or so of the biblical verses that are proclaimed in the 3-yr cycle of readings at Sunday Mass. It became immediately apparent to me that the New Testament could not have been forged or fudged or invented, because the simple problem of getting all the places, names, period details, and environmental clues correct would have taken a team of geniuses or a supercomputer. This sets aside the challenge of the theological content. The challenge of fitting the New Testament into a harmonious relationship with the Old Testament – again, purely from the standpoint of people places, details, plants, rocks, etc. – is vastly more complicated than the challenge of making the accounts of the New Testament consistent. The facts virtually scream out a message of authenticity. I got so interested I wrote a book manuscript on our Footprints pilgrimage, and I dived down into the specialized research of a couple of fields – history, archeology, natural history, geology. Everything fits the way it is told in the Biblical narrative, and it can’t fit in other ways. There are uncertainties about exact locations, and these are forthrightly admitted, and have been for a long time. There are surprises and new findings all the time, which potentially could test the interpretation basic layout of the physical arrangement of sites, and they nearly all end up confirming it all the more. You have to be deeply lost in myths and willfully ignore the evidence to even half-seriously entertain the idea of being skeptical of the historical Israel, Jesus, and early Church as described on the scene in the places indicated. It is so sad that some people just don’t have the advantage of the continuous historical witness of the Catholic Church to overcome inertia or the various fads that promote close mindedness over time. My wife went on a parish-led pilgrimage with her mother two years before our Footprints pilgrimage. The earlier group had competent but non practicing (and I believe non-Christian) guides. It was a mixed modernist and faithful parish group. Even in those circumstances, she saw that some had faith confirmed, although for some it was a weak experience or even another reason to drift. But my wife describes the Footprints pilgrimage experience the same way you hear in these messages over and over – deep effect in her life, affirming, finding new perspective and depth of meaning in the Mass and the Bible, etc. There is a reason for that. 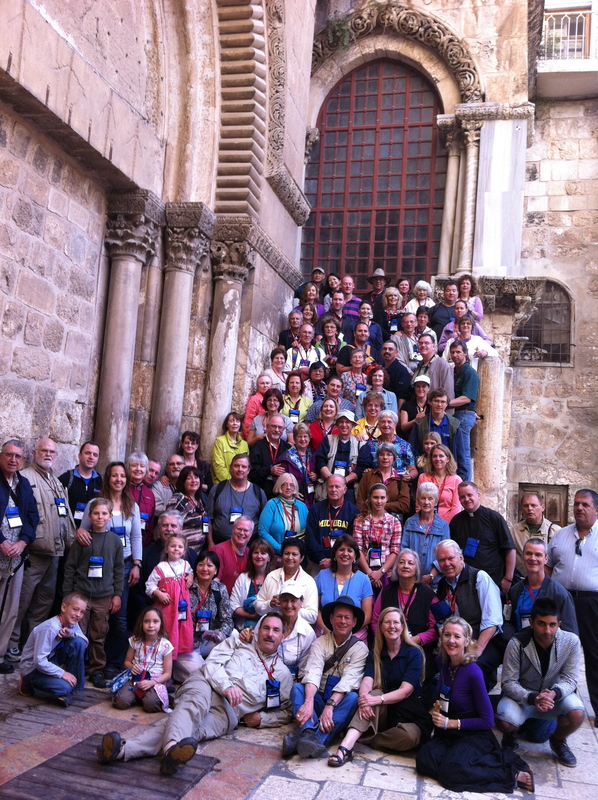 I heard that the protestants holy land itineraries and/or route are different than the Catholic pilgrims. Is it true that they avoid to go to some places where the Catholics go because those places will give signs of contradiction to their doctrines or beliefs? This is kind of urgent. Please answer and give info ASAP. God bless! Thank you. 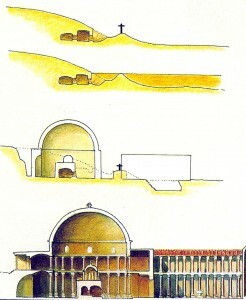 I was fascinated by your article on the authenticity of the “traditional” site of Christ’s death and resurrection, in particular the little sketch of how the original topography has been altered by the church built over it. I am very interested in this history and am wondering if you can perhaps help me. 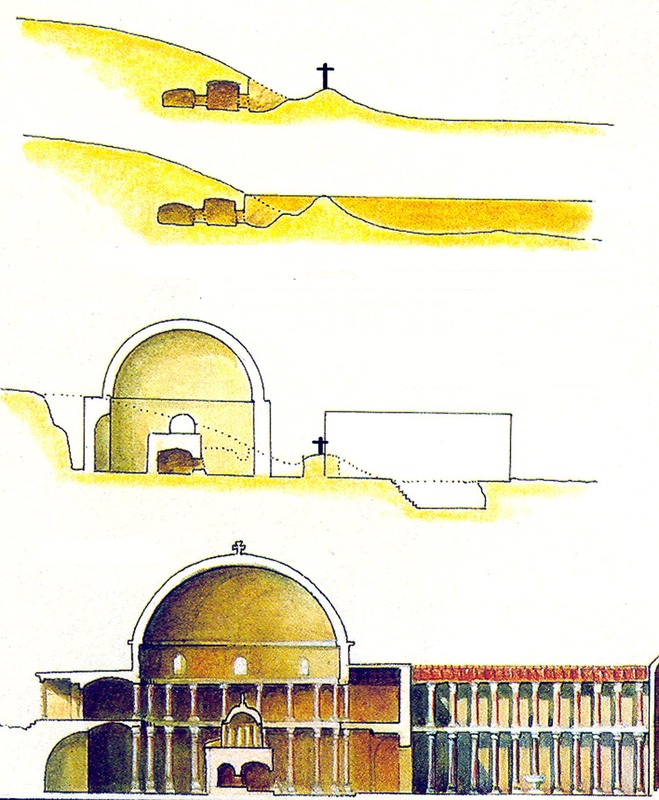 For some months I have been searching for a good picture illustrating the possible original appearance of Constantine’s basilica – but without any real success. Would you possibly have any suggestions? I found your degrading of the Protestants claims in very dishonorable taste. I have a feeling that if I looked into the Protestants claims there would be actual cause for their claims. The Protestants I have known usually know their Bible and the Catholics I have known have been taught not to do so but to depend on Priests and such to “interpret” for them. Which is very similar to the reason the first Protestants were actually Priests, because the Truth they were reading in The Word of God was not what was being taught . I know for one thing that there has since been a hill cleared out of garbage that has the distinct appearance of a skull and for me that is a big clue. We should all search The Word on our own. Search out claims and compare to The Word of God and descriptions given there. “I have a feeling that IF (my emphasis) I looked into the Protestants’ claims…” Why didn’t you prior to posting? “The Protestants I have known usually know their Bible and the Catholics I have known have been taught not to do so…” They have been told: “WHATEVER YOU DO, DON’T READ THE BIBLE”? Is this the same Bible that we Catholics read at EVERY mass, every day of the year? The same Bible that, in a 3-year cycle at Sunday masses and in a 2-year cycle at daily masses, we read nearly the entirety of? “I know for one thing that there has since been a hill cleared out of garbage that has the distinct appearance of a skull and for me that is a big clue.” Why wasn’t it a “big clue” for the first Christians, who KNEW where Golgotha and the Holy Sepulcher were, and kept alive the memory of where they were for future generations of Christians?